There can be perceptible variations in the approaches towards a dining experience of Thai cuisine from a native and foreigners who feast on Thai cuisine. There will be times when you will be indecisive about what to order and confused by the menu as a timid eater. In Thai dining the process of ordering food is also bound by traditions. Cultural differences do cast its impact on the food ordering process, its delivery and the way and style in which a Thai meal is served. This account by a Thai born culinary student educated in the west, tracks such drastic differences between Thai and western culture in serving Thai food. 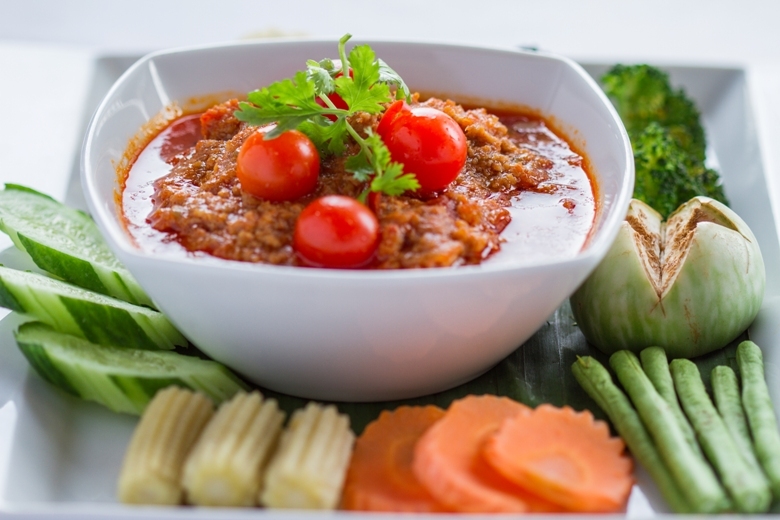 The natives had a culture shock which led to the following tips to enlighten everyone about the native approaches to Thai food and suggests a path so that food lovers can go beyond Thai curry and indulge in a thoroughly authentic Thai experience. Spicy categories: At least one dish that is spicy. Thai food is meant to be shared. When you are in a restaurant and asked to place the order, ordering your own meal while being in the company of four people will be surprising. In Thailand, ordering food is a group activity with the eldest diner having the most say. Curries are rich, while soups are light and breezy. The wet dish can vary as per the mood. For a contrast, one dish should be dry. The stir-fries or anything that is not served in a bowl is considered dry. Try everything at the same time, although those which are ready first comes first to the table. In Thailand there are no courses to follow. Everything, including soup, salad, dips and a whole fish are eaten together. Dessert is the only exception. Thai restaurants in the United States serve soup and salad first as a reminder of their western norms. Rice is the base of all Thai cuisine; this applies to all dishes including soups and salads. They are the sandwiches of Thai cuisine. 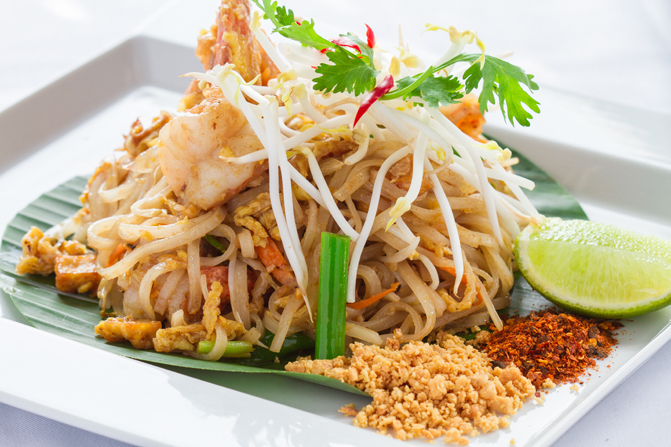 Pad Thai and noodle soups are deemed ideal for lunch and dinner. To conclude, of course there are norms for eating Thai as per traditions. At the end of the day, it is just food so when you are in a high end Thai Restaurant, just go ahead and order whatever makes you happy. Also gently ignore those who might have an occasional laugh with you if you’re not used to the local style of dining.